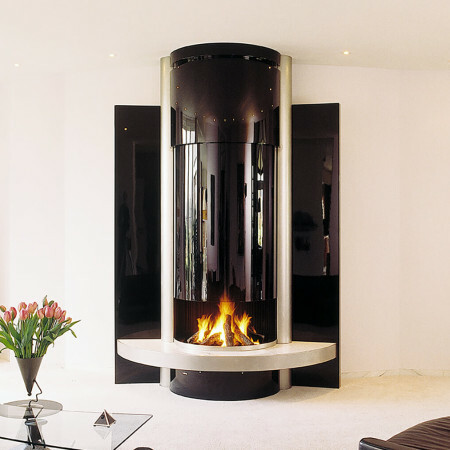 This beautiful and elegant cylindrical fireplace design is shown here made from matt stainless steel with a matt black top section. It is custom made so colours and finishes can be customised to spec so that this fireplace can be tailored to the clients’ interior scheme. 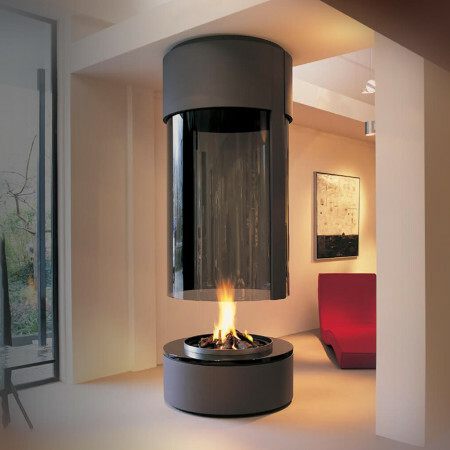 This contemporary fireplace is designed to fit between the finished floor and ceiling. It can be fitted against a wall, in the centre of the room or is equally stunning as a unique corner fireplace. Available as both a modern gas fire and an open open wood fire, contact a design consultant see how this design can be incorporated into your project.